Perfect for snowmobilers of any age, from two on up, Tigiwon Tours provide a scenic and relaxing Vail Snowmobiling experience in the heart of the White River National Forest. The Tigiwon Vail Snowmobile Tour presents an ideal option for parties with young children as well as guests who would prefer to double-up and ride two people per machine. Tigiwon riders embark on a 2-hour journey through a forested trail system, ascending to elevations of 10,500 feet with stunning vistas of three mountain ranges as well as the back bowls of Vail. Along the way, you'll be treated to steaming cups of hot cocoa at a historic 1930's mining cabin. Tigiwon Tours allow for children as young as 2 years of age to accompany their family on a Vail Snowmobiling Adventure. All tours include a professional guide, transportation, snowsuit, boots, helmet, and a hot beverage. Drivers must be at least 14 years old in order to ride their own snowmobile. Complimentary door-to-door transportation is provided from the towns of Vail, Beaver Creek, Avon and Edwards, Colorado. Three tour times are offered daily with transportation departing resort areas at 8:30 am, 11:00 am and 1:30 pm. Beginning in late February, a 3:00 pm tour departure is also added. Advanced reservations are required and highly recommended, as tours frequently sell out in advance. 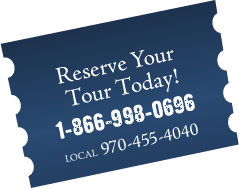 Book Your Snowmobile Tour Today! To book your Tigiwon Snowmobiling Adventure in Vail, Avon, Beaver Creek or Edwards, Colorado contact us toll free at 1.866.998.0696 or locally at 970.455.4040. 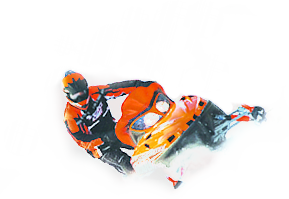 A credit card imprint, serving as a damage deposit, is required on all Colorado Snowmobile Tours. Snowmobile drivers must be 14 years of age in order to drive a snowmobile. A signed liability waiver for personal injury is required prior to all tour departures. 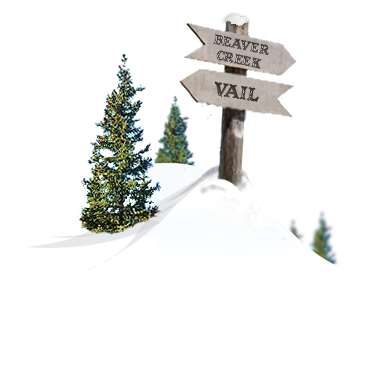 All Vail Snowmobiling Tours have a 24-hour cancellation policy (72 hours for groups of 10 or more snowmobiles). 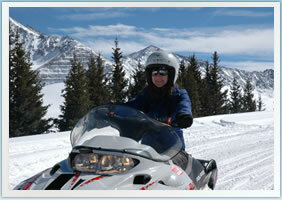 Vail Snowmobile Tour transportation availability is dependent upon group size. Please note that tour prices do not include a $6.00 per person USFS trail use fee.